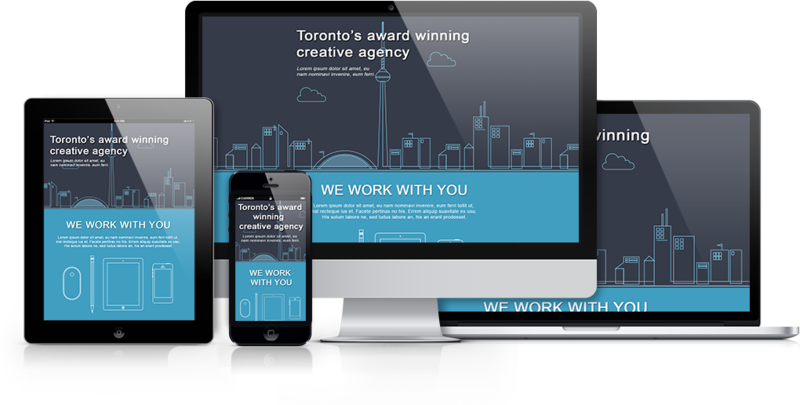 After you’ve created your pages in your PSD design, its likely you will require a menu or anchor links to navigate to them. 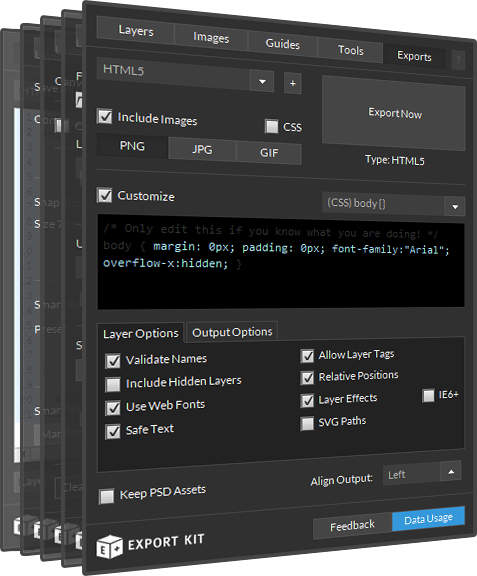 You can use Link Tags to link any Photoshop PSD layer to any page. Before connecting pages and links, you should read Page Tags and Link Tags for a general understanding of links and pages. Create the page you need, eg. a Services page. Once you’ve created the page, you will reuse the page name in the link. Read more about using Page Tag. 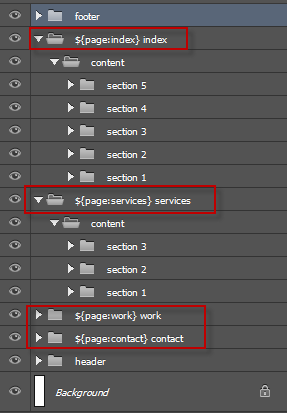 Read how to Export Multiple Pages and Files with Page Tags. Create a link to connect to your page. You will need to reuse your page name in the link to have a valid connection. Read more about using Link Tag. 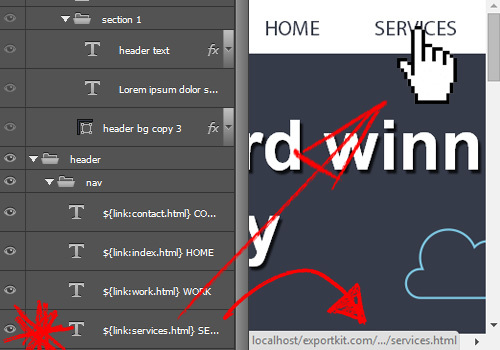 Read how to Create a Navigation Menu with Link Tags.